Nora Leibowitz is an experienced health policy and operations professional who has dedicated the past 18 years to improving Americans’ access to quality, affordable health care. Working for public and private organizations at the federal and state level, Nora has sought challenges that have allowed her to increase access to care and improve consumers’ health care outcomes. She has subject matter expertise in Medicaid/CHIP, the private health insurance industry, market reforms and health care quality. Before joining HMA, Nora was the Chief Policy Officer at Cover Oregon, directing policy development and implementation for the state’s health insurance exchange. At Cover Oregon, Nora developed the state exchange’s individual market eligibility and enrollment policy and operations and managed corporate policies and procedures, compliance, and evaluation activities. She planned and implemented resolutions to high priority, public challenges facing the organization. As a key leader in the organization, Nora actively engaged in strategic and project planning, risk management and resource allocation. Prior to the creation of Cover Oregon, Nora successfully worked to pass Oregon’s state exchange authorizing legislation. In her role as Exchange Development Director, Nora led the initial planning and implementation of Oregon’s exchange, including bringing in over $50 million in grant funding, directing the exchange planning team and partnering closely with legislators, Medicaid and technology staff. 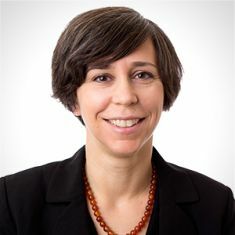 Nora also has served Oregon as manager of its Medicaid Actuarial Services Unit, Interim Director of Policy for the Office for Oregon Health Policy and Research, and a Senior Policy Analyst for Health Reform. Previously Nora spent several years in Rhode Island as a consultant to Rhode Island Medicaid, where she helped build Medicaid managed care programs for special needs populations. She was also Lead Program Analyst for the federal Department of Health and Human Services Office of Inspector General. Nora earned a Master in Public Policy from the University of Chicago’s Irving B. Harris Graduate School of Public Policy and her Bachelor of Arts degree in History from Reed College. Nora lives in Portland, Oregon with her husband and loud children. In her free time she is an avid runner and novice pie baker who has managed to take long road trips with children and lived to tell the tale.